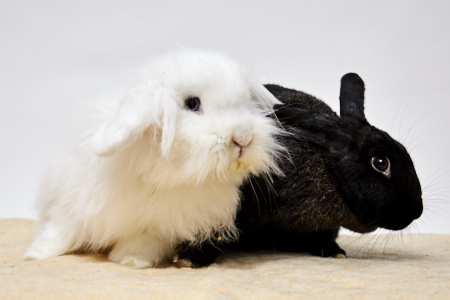 Coconut: “And I, Coconut, am very soft and fluffy, I long haired and lop-eared and I have beautiful, bright ruby eyes. Coal: “We enjoy our life. We like to eat and lounge around, explore and play games like running and happily chasing each other. Coconut: “And I’m a teenager and soft too! Well, gee, that’s something we have in common Coal!